Check out this Beautiful 2016 GMC Sierra SLT All Terrain 4x4 with only 14k miles. This is a 1-Owner truck with Clean Carfax. Equipped with a 5.3L V8 and towing package ready to pull your extras. 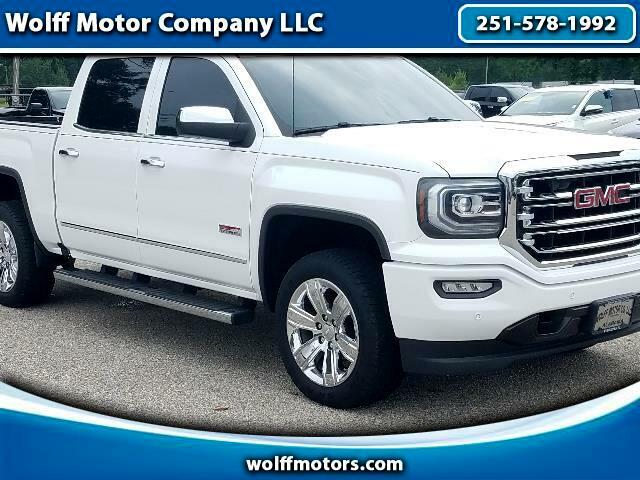 This truck features 20inch chrome wheels, black leather interior with heated front seats, 8inch touch screen display with backup camera, spray-in bedliner, dual air control and so much more. Give one of our Sales Professionals a call Today at 251-578-1992.